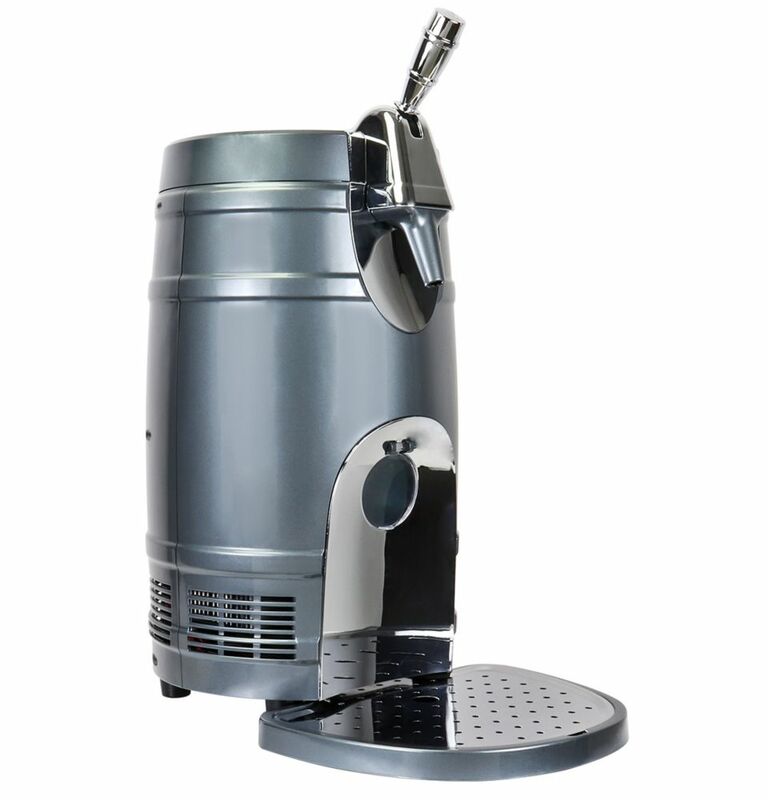 Koolatron 5 liter mini keg dispenser with tap. Ideal for your home bar, rec room, or next tailgate party! Perfect for home ,tailgating, boats & RVs! The Coca-Cola Soccer Ball Beverage Cooler is sure to thrill sports fans of all ages. This unique mini fridge looks like a soccer ball and features official Coca Cola graphics in a specialized red, white and blue motif. Unique hidden cooling chamberUnlike a typical electric plug in cooler, this Coke cooler has a special push top handle, which lets you access the hidden cooling chamber. Just push down on the top blue panel and the handle will pop up. This compact Coca Cola soccer ball beverage cooler can store up to 5 cans. It makes a great gift for Coke collectors, and is the ideal size for use in any home, office or dorm room. Portable thermoelectric cooling technology The Coca-Cola Soccer Ball Beverage Cooler uses thermoelectric cooling, which can chill drinks and food to 360F/200C below the surrounding temperature. For best results, load pre-chilled drinks into this cooler and keep it away from direct sunlight and any heat sources. KTB05BN Beer Keg 5L Cooler Koolatron 5 liter mini keg dispenser with tap. Ideal for your home bar, rec room, or next tailgate party!